Sandy Hook reopens today after the calamity caused by another Sandy, Superstorm Sandy, which devastated beaches and uprooted thousands of residents in nearby communities. "We have been looking forward to this moment since the storm hit us, and we've worked hard to make it happen this soon," said Pete McCarthy, Sandy Hook unit coordinator for the National Park Service. 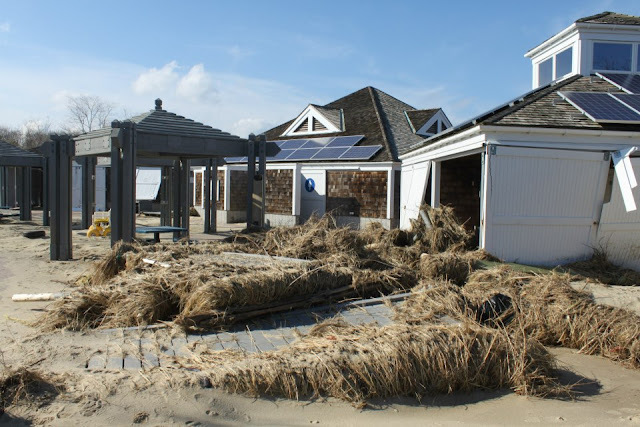 "Employees and volunteers have literally dug out beach centers and parking lots, and pumped out flooded basements, and we've even rebuilt sand dunes and replanted beach grasses." In an unexpected development, the Park Service also will reopen Gunnison Beach--Sandy Hook's clothing-optional beach--starting today. Lifeguards will not be in place until the Memorial Day weekend. During the summer season, Gunnison will have lifeguards from 10 a.m. to 6 p.m.
Because of storm damage to parking lots, Sandy Hook will accommodate only 2,500 cars, or 60 percent of its normal capacity. Arrive early if you hope to find a place to park. Signs will be placed along Route 36 north and south of Sandy Hook to alert motorists when the parking lots are full. Work will continue this summer as more services are restored and roads continue to be repaved. The sewage system was incapacitated by the storm, and work continues to return it to service. In the meantime, portable toilets will be available. Electric and water services are largely but not entirely restored. Most of Sandy Hook remains inaccessible for bicyclists. Most of the multiple-use path was severely damaged. Work continues on returning it to service. Electric, telephone, water and sewage services were all incapacitated by storm. These services are largely but not entirely restored. Throughout the summer, the park will continue to rehabilitate damaged beach centers, sections of the multi-use path and other affected areas. Details are still being worked out for food service but it will be limited for the summer. The Visitor Center at Spermaceti Cove was one of several buildings damaged by the hurricane and will remain closed indefinitely. 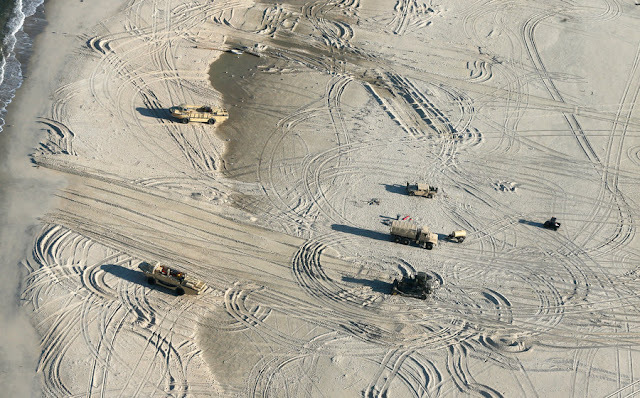 Beach parking is free until Memorial Day. During the summer season, beach parking will be $10 per car, the same it has been for several years. On April 27 Clean Ocean Action held its annual Beach Sweep to spruce up Sandy Hook. About 720 volunteers collected 80 tons of maritime debris on the bay side of Sandy Hook's beaches. The Park Service and dignitaries, including U.S. Representative Frank Pallone, a Democrat, will mark today's reopening with a ceremony at 10 a.m. Pallone pushed hard for Congress to appropriate emergency funds for rebuilding Sandy Hook and the devastated communities nearly. If you visit Sandy Hook, you're apt to see damaged housing and businesses--and many who are rebuilding after the calamity from October's hurricane.